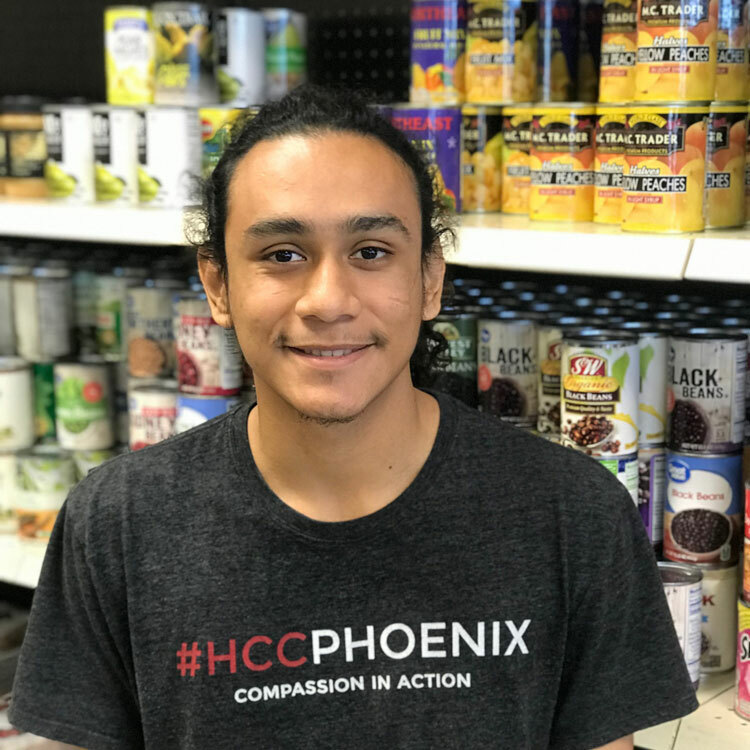 All of us at HCC Maryvale want to introduce to you Cesar, an outstanding HCC volunteer who has poured in hours of serving others with our HCC team. Cesar, who has volunteering at HCC Maryvale since June of 2018, comes in every Tuesday, Friday and sometimes Saturdays to work. Cesar is a man of all trades – he has experience shopping for food and clothes with our guests, cleaning and helping maintain the Center, and working with Director of Operations, Paul, often unloading large donations. Cesar is grateful for his time volunteering at HCC and has mentioned to our staff several times that it has changed his life and made him more aware of the need to help others. When Cesar isn’t at school or volunteering he loves hanging out with his friends and mom, going to movies and helping his uncle work in the construction field.